Listed below are the latest travel insurance policies for those over the age of 80. Travel insurance options can become limited when you get into your eighties but there are providers out there who will cover any age. These policies will cover such countries as Australia, New Zealand, Spain, France, Greece, USA and basically anywhere worldwide. Even if you have a NHS ehic card, you will still need travel insurance. * Our example travel insurance quote is based on one individual travelling to Europe (Spain) for a two week holiday who is aged 80 years. Where the insurance provider has a range of policies the cheapest quote is displayed. More and more older people are travelling to countries such as Spain, Greece and France without any for of travel or medical insurance. They seem to be following their lead from younger people who generally will not bother with insurance particularly if they are just going for a week in the sun. The European Health card, otherwise known as the EHIC card, is for European citizens so they have the same access to healthcare as locals. It is not meant to be used by expats as some do, particularly in Spain. Indeed this has even led to some Spanish hospials and health care provider turning away British citizens despite showing their EHIC cards. The advise is always the same when travelling in Europe or indeed holidaying anywhere on the planet. Always take travel insurance and ensure you declare any pre-existing medical conditions because the EHIC card will not always come to your rescue. 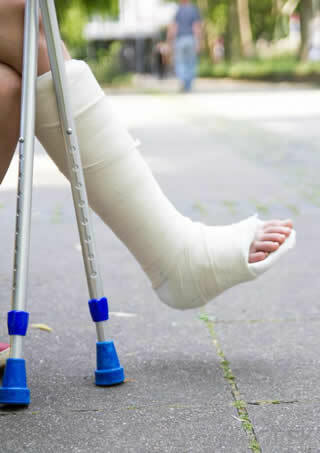 Don't be without insurance if you break your leg abroad. Everyone is likely to suffer the increased flight fares from the UK but some will feel the pinch too with anticipated rises in travel insurance, particularly the over 80s, who will feel it even more as they are more likely to have medical condtions too. The best thing thing one can do is to shop around for decent travel cover and not just use price comparison websites as they often don't have all the best options for older people. The over 55s are fast emerging as a group of people who are taking extended gap years abroad, and are being called gray gappers. They have a lot of disposable income due to being part of the baby boomer crowd who have been lucky enough to cash in on the biggest property bubble in UK history. Research published by the Post Office revealed that 25 per cent of over 55s are thinking about the possibility of enjoying an extended single trip travel excursion around the world in the next two years. However they are being urged to take out travel insurance particularly as they might need medical assistance more than younger gappers. Brits still not taking out travel cover when abroad. It is believed that less than half of Brits heading to South East Asia are taking out travel insurance. The crazy thing is that Britain offers some of the cheapest travel insuranc to its citizens in the world. Apparently people are more likely to pack their own tea bags rather than holiday cover! Post Office Travel Insurance is advising Britons over 80 taking activity holidays in the UK to make sure their travel insurance over 80 policies are up to scratch. According to research from Mintel, the domestic activity holiday market is growing fast, with nearly two million people embarking on domestic water sports holidays in 2009, and a million taking up a rock climbing or cycling vacation. Given the risks involved in adventure activities, even in the UK, Post Office Travel is highlighting the need for adequate insurance and warning that common adventure sports, such as waterskiing and windsurfing, may not be included in a standard policy. Most travel insurance offers cover for flight and rail delays and cancellations, plus lost or stolen valuables, but Post Office insurance also provides personal liability cover for those holidaying in the UK, and protection for sporting equipment while not in use, of up £300. Saga continues to cover people in the Uk over 70. They have given their website a fresh new look and their products now cover way more than just travel. They have their own brand of holidays and insurance products ranging from car to house.